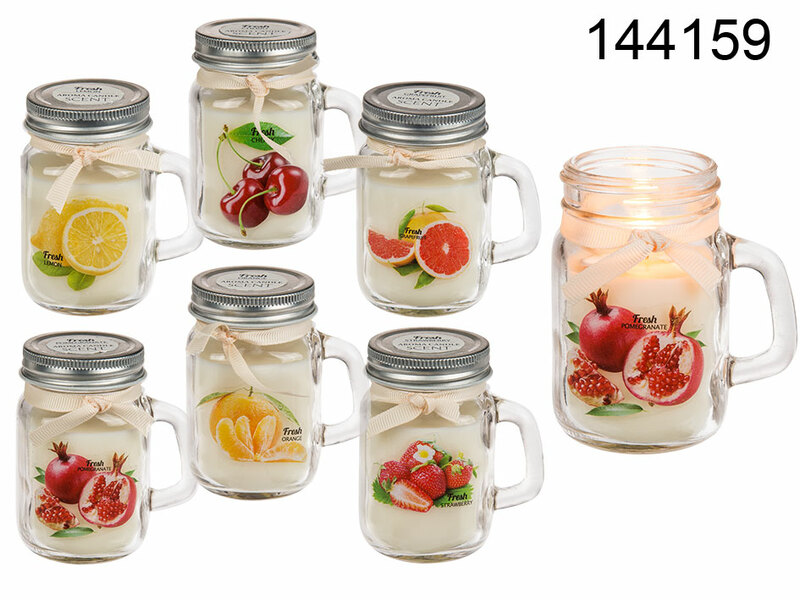 Glass mason jar with fruit-scented candle. With silver-coloured lid and a ribbon. Beautiful decoration that introduces a lovely scent into any room. Six fragrances available; lemon, orange, pomegranate, grapefruit, cherry, and strawberry - assorted. Wonderful gift idea.